Sick of the top knot? We are too! Take inspiration from the runway and red carpet and try these surprisingly easy up-dos at home. With a little practice, you’ll be rocking hollywood hair for your trip to the races; that wedding you’re going to; or all those summer party nights. Perfect for Spring Racing looks, this neat knot leaves plenty of room for your hat or fascinator. Flat iron clean hair after applying a dollop of smoothing serum. 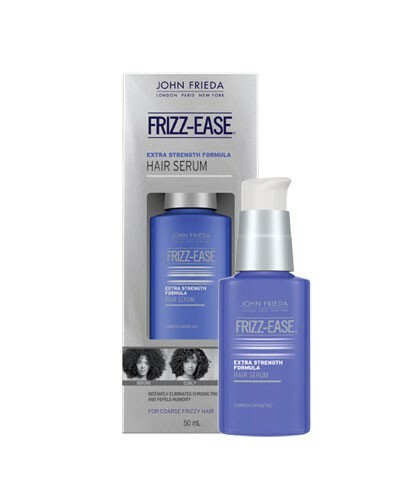 Try John Frieda Frizz Ease Hair Serum Extra Strength Formula. Tie low on the neck with a clear elastic and separate into two sections. Wind the two sections around each other to achieve the ‘knot’ look, secure with a hair net, then pin aroudn the base. You'll need to use a LOT of hairspray to keep this looking neat. This classic look begins by parting clean, dry hair on the side and marking the hair in the spot you want the waves to begin with a bobby pin. Use a curling iron to impress waves into the hair at 4 cm intervals. Do this all the way down the hair until you reach the nape of the neck. Then tie the remaining hair into an off-centre ponytail with a clear elastic; twist the hair into a swirl and pin tightly. Spray that baby with high hold hairspray but leave the front alone. “Try this at home! Are you kidding?” Yes, I hear you! But this is easier than it looks, that’s why it’s awesome. This really is one, however, that is better explained in images than words. Check out this fantastic YouTube tutorial on this style here. It also includes the niftiest bobby pin hack I‘ve ever seen that you will be sure to use again and again! 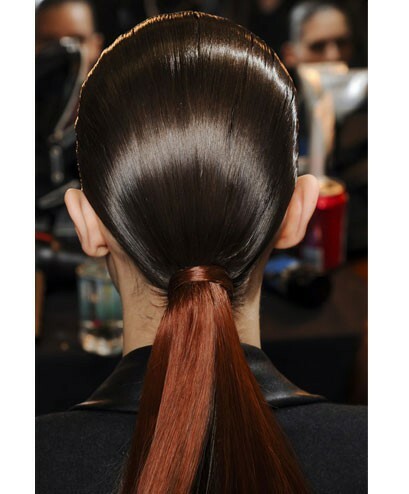 Freshen up that bo-ho balyage with this sleek ponytail. Straighten all of your hair with a flat iron after washing and blowdrying. 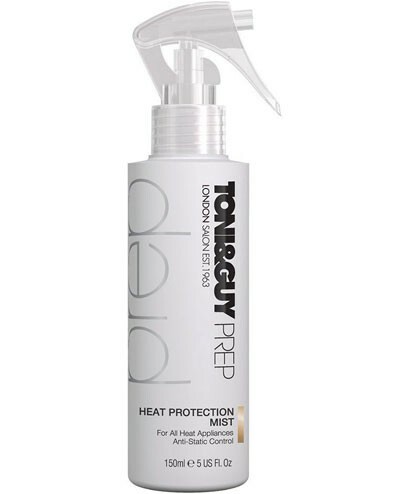 Use a heat protection spray such as Toni & Guy Prep Heat Protection Spray. Tie in a low pony at the nape of the neck with a clear elastic. Pull out a small section of hair from the bottom of the ponytail and mousse it for all it’s worth. Comb through this section ensuring there are no flyaways. Then wind the section around the clear elastic and secure the ends with several bobby pins. Hairspray the hell out of it, then go over with your hairdryer on a light setting. Scarlett is a hair-spiration and often rocks some of the best hair a beauty looks in Hollywood. This va-va-voom volumised twist is no exception. Mousse clean damp hair and separate out sections at the front and sides of the head, comb straight and set aside. 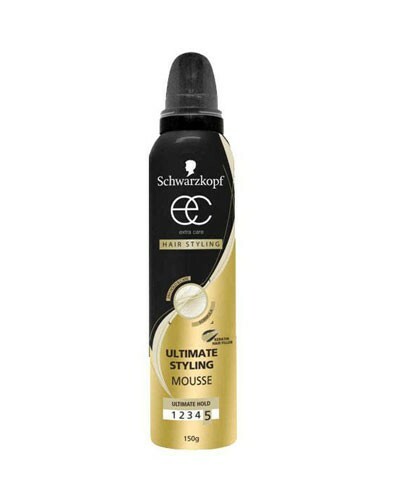 A good strong mousse is Schwarzkopf's Extra Care Ultimate Styling Mousse. Blow dry the hair on the top and crown, teasing as you go to give it as much lift as possible. Comb the straightened hair from the front over the teased mass and pin just under the crown. Comb the rest of the hair from the sides of the head and twist into a ‘rope’. Fold the rope up and down between the nape of the neck and the crown, pinning firmly as you go. You’re going to need a lot of bobby pins! Spray with high hold spray. Which of these up-do updates would you like to try?